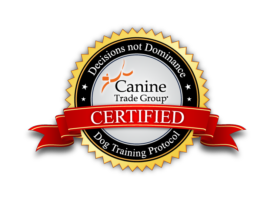 See what our clients say about working with Professional Dog Trainer, John Van Olden. “First time dog owner here and we were having issues with our new German Shepherd puppy from the start, so we reached out to John. We thought that we would have to give our GSD away due to our inexperience, but John’s knowledge and expertise made an immediate impact in helping us overcome our issues! John is very thorough, passionate, and experienced with dogs and it shows through his work. He explained the entire process of his training services and even identified many minor ‘actions’ where my wife and I could have handled our puppy more appropriately during the first visit. His observations and suggestions made tremendous improvements with our GSD. He follows up and checks in our progress weekly and is available for immediate help when needed. I could go on! Without John, we wouldn’t have our puppy today! John began training with me, my daughter, and my two dogs, a 9 month-old border collie mix (Zoe) and a 5 yr. old chihuahua mix (Jake), after being referred by my veterinarian in August. I was having minor issues with Jake that John was able to help me quickly resolve. My greater challenge was Zoe, who because of her high energy nature, was totally out of my control both in the house and outside on a leash. I could barely get a leash on her much less take her for a walk outside. It was to the point where I was thinking of trying to find a new home for her where she might be happier. After each of John’s in-home visits, we put his methods and advice into action, and we immediately began to see things change for the better. Zoe now listens to commands, has better manners, and is calmer overall. I am able to easily get a leash on her to take her outside, and although we still have some work to do on on our leash manners, we are continuously improving in that area as well. It does take a lot of work and consistency, and I’m not going to say it is easy. But once you start seeing results, I can say it is definitely worth it. John is always quick to respond to questions in between scheduled visits and follows up to see how things are going. He clearly cares about what he does, and I have no doubt if an issue comes up later where I may need to ask his advice, he will readily be there to help. Not only did I receive expert training, but as a result, I went from the fear of possibly needing to find a new home for Zoe to now not knowing what I would do without her in my life! Zoe, Jake, and the entire family are much happier as a result! Thank you for your help John!